David Moyes has left after 11 fantastic years at Goodison Park and a fresh face in Roberto Martinez takes control of the Toffees. We will be rating each position in their squad with old-school letters, A for good, F for bad. Much has been made of Everton's decision to sign up Roberto Martinez as the replacement for long-standing manager David Moyes, positively of course. The Spaniard has gained priceless experience from his relegation dogfights year in, year out and now that he has a better squad and funds available, he can really show what he can do. Tim Howard remains the top goalkeeper and his deputy, Jan Mucha has left Goodison so that position is further cemented for Howard. Seamus Coleman is quite underrated in my opinion, an exciting young right-back who can bomb forward and also track back well. Phil Neville has retired and there are quite a few options in the heart of defence for the Toffees, including Sylvain Distin, John Heitinga, Tony Hibbert and even Antolin Alcaraz. Leighton Baines is still the best left-back on Merseyside and it will stay that way for quite some time as a move to Manchester United seems off. I also think that Marouane Fellaini will stay at Everton and Roberto Martinez has made that clear ever since he walked through the doors to his office. Steven Pienaar is still a very good player despite being 30 now. 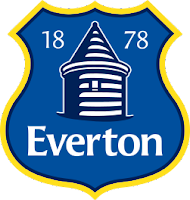 Leon Osman, Bryan Oviedo and Darren Gibson all provide worth options and youngster Ross Barkley may be given more games to show his talent. Arouna Kone is a fantastic bit of spending from Roberto Martinez. He knows the player, he has experience and he is ready to score freely for Everton. I personally think he will bag over 15 goals this year. Whether Nikica Jelavic stays or goes, could be a massive impact on Everton's final position and I think that he will go. Gerard Deulofeu has been brought on loan from Barcelona and he will struggle to adapt to the physicality of the Premier League at such a young age but gradually improve over the year. Victor Anichebe vastly improved last season but he may leave as well. Kevin Mirallas is a fantastic player and he will be one of the best players for the Merseysiders this year. Despite improving hugely over the past year and a half, the Merseysiders will not finish above Liverpool this season and will drop out of the top six after a few seasons in those heights. They will still finish in the top ten comfortably though. PREVIEW of Everton for the 2013/14 season of the Barclays Premier League.